Living on the Cheap – Monastic Misery or Healthy Households? It’s often said that the biggest single item we buy is our home; this is probably true but the cost of running that home over a lifetime is certainly up there alongside those expensive mortgage payments. In the last few years we’ve all become slightly obsessed with saving money and cutting our bills – as wages stagnate or disappear unexpectedly. While cutting all but essentials in an emergency is certainly one way to manage the cost of living it’s not the easiest or most pleasant experience. However, there are some very simple long-term steps to cutting the household bills and costs of living in the modern world. Some of these are relatively new ideas and some would be more than familiar to our grandparents and older generations. 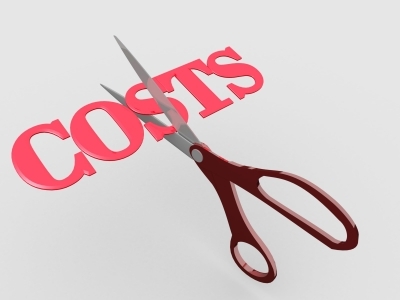 Here are a few ways in which to cut your costs without facing a life of monastic misery. After our homes this is probably the next biggest outlay that most families face. Running a vehicle is costly in several ways but there are simple methods to cut the cost of motoring. Firstly, if you have two cars in the family decide whether you need them both! One car will be cheaper to run and (although it may not be possible for all families) making a few changes to your routines can make it surprisingly simple. Secondly learn some green driving skills – driving with fuel consumption in mind can cut your fuel use by twenty per cent. Basic tips are no harsh acceleration, braking and avoiding ‘stop/start’ driving. Combine several trips (commute, school run and trips to the shops) rather than constantly starting up the car for several smaller errands. If possible consider alternative commute options; car sharing or even getting healthy and walking or cycling will keep motoring costs under control. Food is literally one of those items that you can’t live without. The cost of grocery shopping seems to go up every week and for families struggling to make ends meet it’s a real concern. The first way to cut your food bills is, if you can’t already, learn to cook! This doesn’t mean how to use a microwave or open a ready meal but learning how to cook food from scratch. Buying fresh ingredients from local markets and smaller stores is often cheaper, while stocking up on staple foods such as rice, tinned items and pasta at supermarkets. Buying the stores own branded items is a simple way to see the rising cost of your domestic grocery bill drop radically. When shopping for food, use a list and stick to it. Impulse purchasing is a weakness that many of us suffer from and most major stores are well aware of that fact! Keep an eye out for essential items or those on the list that are on offer. Cut out and keep every coupon, voucher and discount code you can find and if you have a coupon for an item on your weekly shopping list, be sure to take it with you. The internet does offer some fantastic money saving opportunities. Suppliers, retailers and manufacturers can operate at lower cost online which means buying via the internet can offer savings in itself. Be sure to find savings at thousands of online stores by using coupon and voucher code sites and check out manufacturers and retailers sites for available offers when you’re looking to buy a specific item. Coupon sites usually offer a twitter feed or newsletter sign-up to keep you up to date with offers and it’s worth signing up to several of these. To make the most of online offers (and there is always an online offer!) don’t impulse buy but use these sensibly when you need to make a purchase. The best way to do this is to start your search early and don’t buy the item you need straight away. Keep an eye on the twitter feeds, newsletters and retailers sites for impending offers and then grab a bargain when it comes along! Living frugally doesn’t mean going without, but by combining some common sense approaches and a little planning you can continue to enjoy a high standard of living (possibly even a better standard of living) without the high costs. Using these tips carefully, over time, will see the savings add up and you can use excess cash to clear debt, save or invest. In the long run by making small savings you’ll find yourself financially (and possibly physically) much fitter than you may have thought possible. Freelance writer Russell Matthews takes a look at how to combat the rising cost of living without cutting out life’s little essentials, like food, and at how to still enjoy a high standard of living.